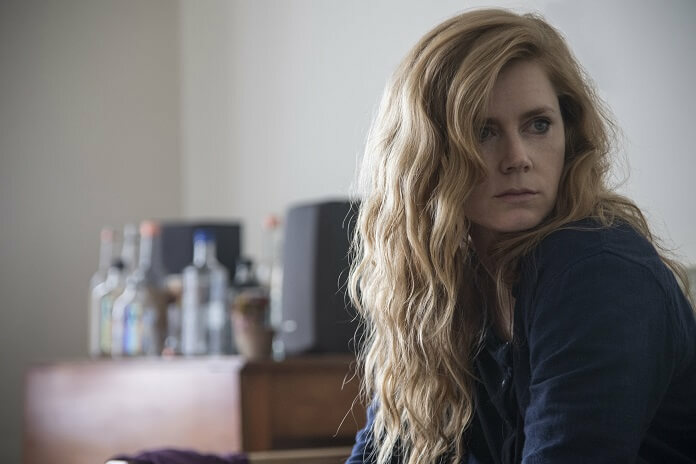 HBO is set to premiere the limited series Sharp Objects starring Oscar nominee Amy Adams on Sunday, July 8, 2018 at 9pm ET/PT. The one-hour drama is based on Gillian Flynn’s bestseller, with Flynn and series creator/showrunner Marti Noxon (Dietland, Mad Men) adapting the book for the eight-episode series. Jean-Marc Vallée (Big Little Lies) directed and executive produces with Marti Noxon, Amy Adams, Gillian Flynn, Jason Blum, Nathan Ross, Gregg Fienberg, Charles Layton, Jessica Rhoades, Marci Wiseman and Jeremy Gold. Commenting on the series, author Gillian Flynn said, “Sharp Objects is my first child, my first novel. I wrote it nights and weekends and holidays with no real belief it would ever be published, because I felt like I had to bring this girl to life, so it holds a sacred place with me. It’s a strange and thrilling thing, bringing text to screen, allowing it to become a new thing while honoring readers’ interpretations too — it’s fun and a bit scary. “When I first read this book, I remember thinking to myself, ‘I have to meet Gillian Flynn – she’s really screwed up like I am.’ This is a story that speaks to a part of women’s lives that we rarely address: our impulse to hurt ourselves and each other,” explained Marti Noxon. “And I feel like Camille is representative of so many women who have continually suppressed the damage that has been done to them throughout their lives, and how in an effort to avoid dealing with the root of our issues we inflict pain onto ourselves, in various forms. Leading up to the series’ much-anticipated debut, HBO’s released details on the characters as well as plot descriptions for the first four episodes airing in July. Camille Preaker (Amy Adams), a reporter for the St. Louis Chronicle, is sent to her rural hometown of Wind Gap by her editor, Curry (Miguel Sandoval), to file a story about two missing girls, one of whom was found dead and presumed murdered. The assignment, which reunites Camille with her overbearing mother, Adora (Patricia Clarkson), stepfather, Alan Crellin (Henry Czerny), and half-sister, Amma (Eliza Scanlen), brings back traumatic childhood memories, including the death of Camille’s younger sister, Marian (Lulu Wilson), when both were schoolgirls. Tormented by her past and seeking refuge through alcohol, Camille joins Detective Richard Willis (Chris Messina) and Chief of Police Vickery (Matt Craven) in following leads around town that might shed light on the fate of the most recent missing girl.